During the winter period it is possible to book a cabin with breakfast. 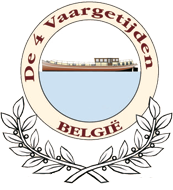 “De 4 Vaargetijden” is moored in the city center of Oudenaarde. Within 30 minutes you travel to Ghent & Bruges! Price: 75 €/per cabin, breakfast included.